Commemorate baby's birth in a unique way. 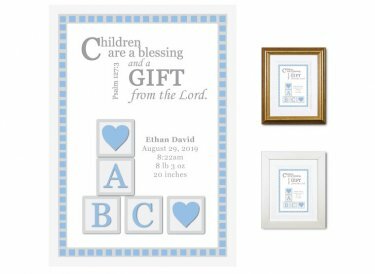 Personalize this nursery wall art with baby's name and birth stats - date and time of birth, weight, and length - it makes a great gift. Original design. Hand finished using premium museum-quality materials. Also comes in pink, pastels, peach, and bright colors.